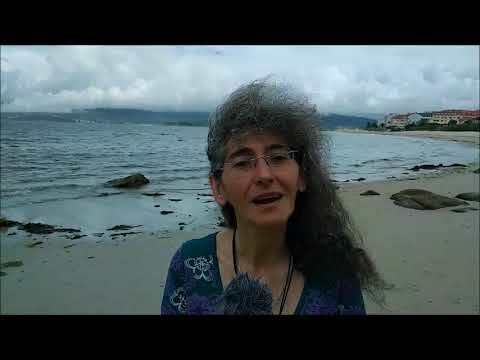 Charla coloquio sobre a situación actual de Brasil desde diferentes ollares. 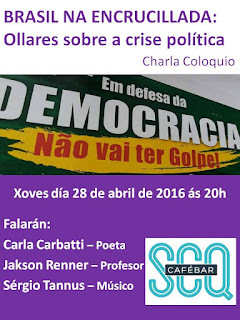 Participarán: Carla Carbatti – Poeta; Jakson Renner – Profesor e Sérgio Tannus – Músico. Chat about the current situation in Brazil from different points of view. 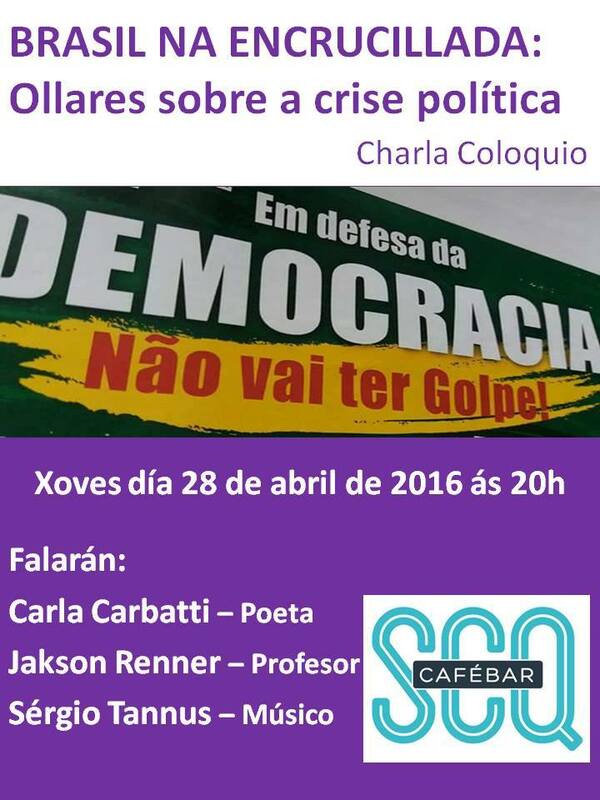 Carla Carbatti, poet; Jakson Renner, professor and Sérgio Tannus, musician will speak.